Kramer Fine Art | Boats at Dawn. 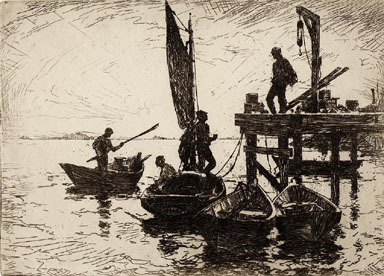 Etching, 1920, Paff 190, edition of 150. 7 3/4 x 10 3/4.